Please take a look at our new bundled specials! click here SPECIALS! and take a look! 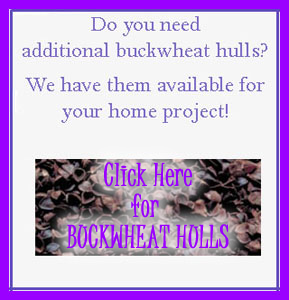 Original Buckwheat Pillows® ONLY uses organically grown hulls from the USA. Our buckwheat is planted in USA soil by American farmers. Our buckwheat is harvested in the USA by American farmers. Buy from someone you can trust.